–Dan Heath, co-author of the New York Times betsellers Made to Stick and Switch. Doing Right by Our Kids–Protecting Child Safety at All Levels is a definitive guide to child safety and abuse prevention, for parents and adults in youth-serving organizations. It is a field guide for practicing courage that arms adults with the knowledge and skills needed to know when, why, and how to act to protect the children in their care. 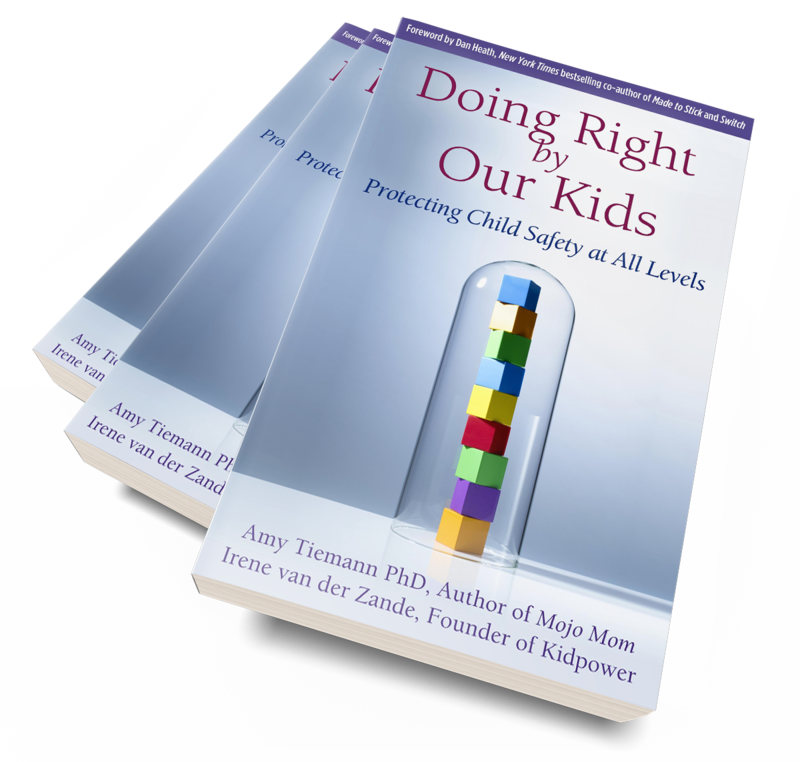 Co-authored by Stanford-trained neuroscientist Amy Tiemann PhD, and Irene van der Zande, Founder of Kidpower, the book introduces a “Safety at All Levels” model. Safety and abuse prevention start at home and extend to friends and families, then the many youth-serving organizations in our lives, including: K-12 schools, sports teams, faith communities, colleges and universities, and more. Practical, field-tested skills and strategies are shared to prevent and solve problems of: sexual abuse, bullying, harassment, and other forms of violence, The book is inclusive of different abilities as well as the LGBTQIA+ community, and discusses ways to overcome discrimination of many forms to give our kids a better world to live in. In the era of #MeToo and heightened awareness about abuse, Doing Right by Our Kids provides crucial information: the strategies and practical steps we all need to take to create a safer society. Create Joyful Independence for Your Family, in the Nest and Beyond! A close relationship with our kids is a gift. But it’s possible to become so over-involved that our kids don’t learn to spread their wings. 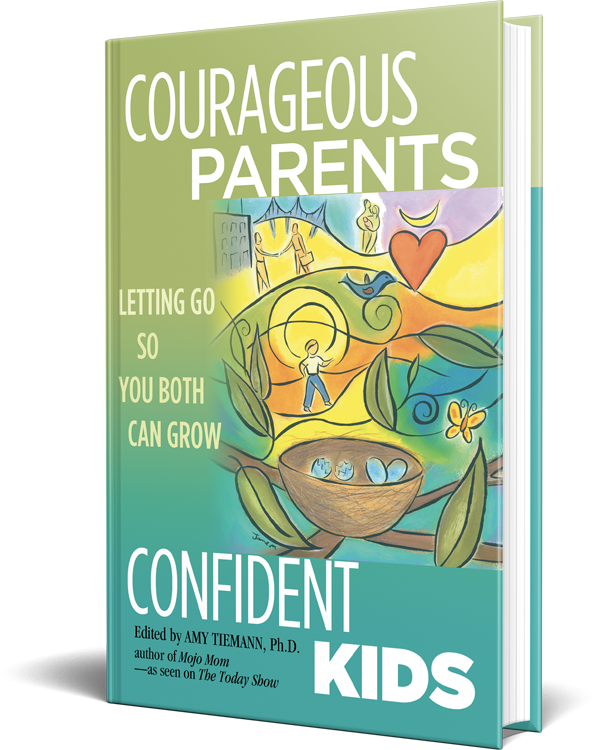 Courageous Parents, Confident Kids is the guide to sustainable parenting that makes letting go a safer and happier process, every step of the way. Mojo is the feeling you get when you’re a parent at the top of your game, juggling the kids and the many facets of life, and keeping your own needs in balance. Motherhood is a tremendous gift, but it’s also a huge identity shift. 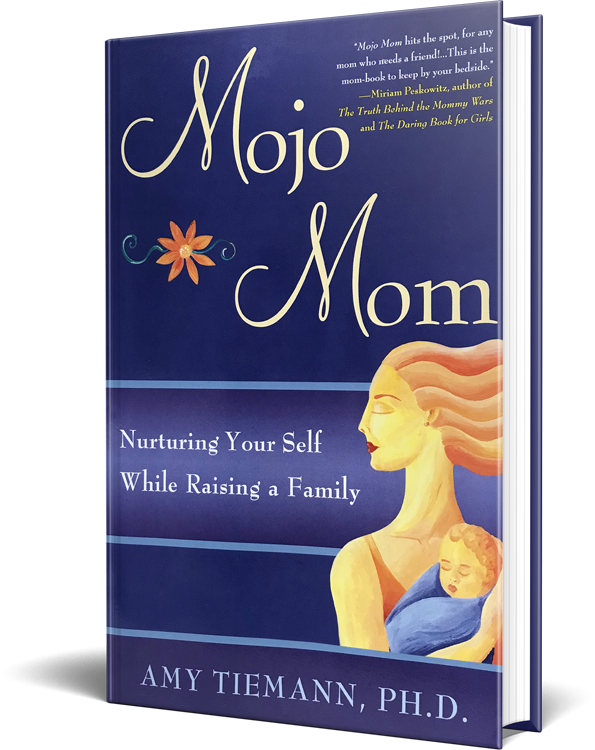 Mojo Mom shows you how to develop your sense of self as you raise a family. 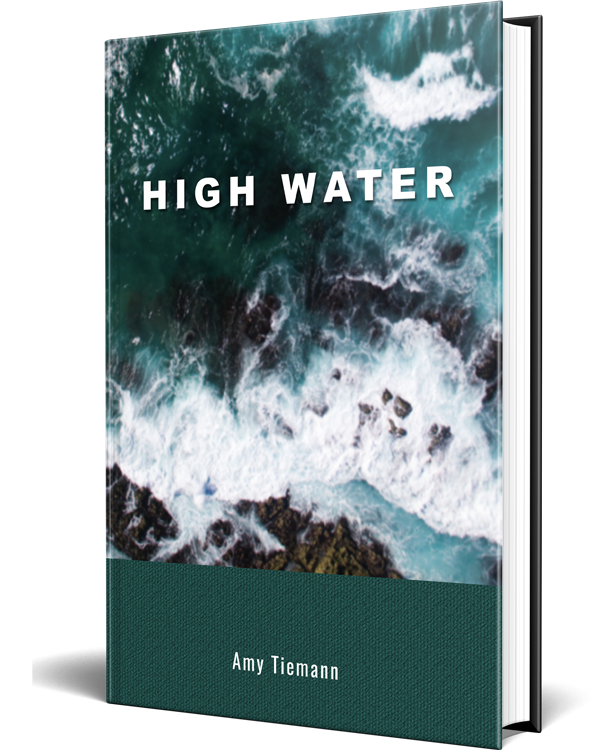 Whether at school or on the seventh-grade class rafting trip, every time Lisa and Molly cross paths, disaster seems to follow. Left behind and lost together in the rugged California wilderness, can these enemies join forces to survive?